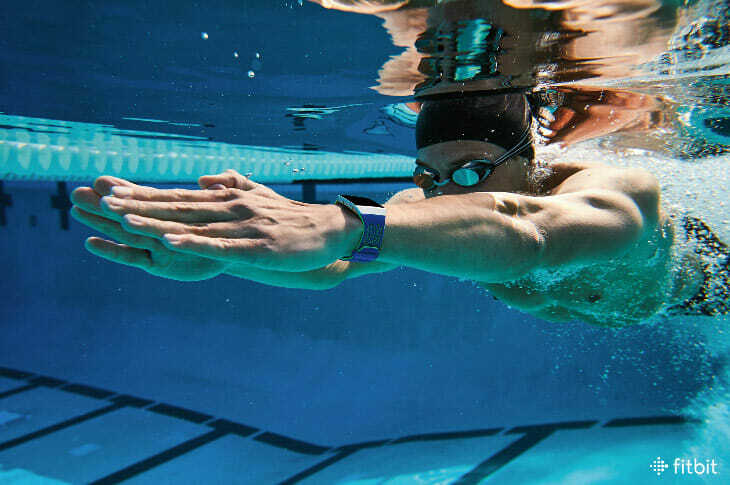 Whether you are training for a triathlon, dipping your toe into open water swimming or simply enjoy doing a few laps at your local pool, then a waterproof activity tracker is a must to measure your duration, strokes, pace, laps and lengths. Here I have “pooled” all of my reviews into one ultimate guide of the best swimming activity trackers currently on the market. Most activity trackers have been developed with land-based sports in mind, such as running, cycling and golf. 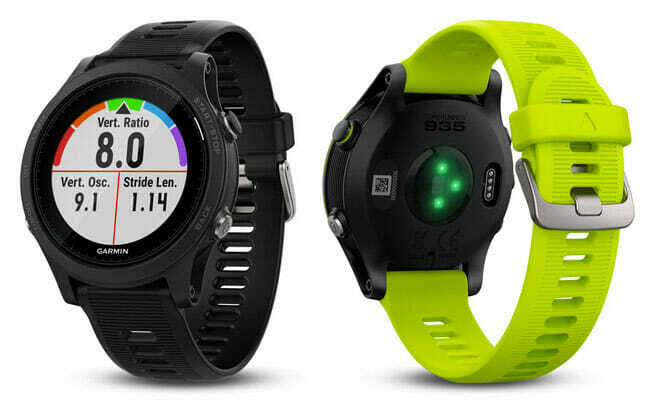 These multi-sport watches can track your steps, calories and distance and even come equipped with heart rate monitors and GPS. In the words of some powerful brands, whether you want to “Find your Fit”, “Just Do It” or “Beat Yesterday”, when it comes to tracking your activity you want to be given meaningful and accurate insights. Here I have compiled a list of the most common metrics you will find on any good swimming activity tracker. Lengths – this is essential for swimmers who are training in the pool. If you are focussed on your stroke, speed and time, the last thing you want to be doing is counting laps as you go. Pace –this is not about swimming fast. Developing and pushing your aerobic swimming pace is an incredibly valuable goal for triathletes. To track your pace accurately you will need to input the length of the pool before diving in. Strokes – used to perfect your swimming technique, rhythm and timing, stroke Rate measures how many strokes you take in a minute, counting both arms and how many strokes you take per pool length. Too low (anything under 40) indicates that you might be moving your arms too slowly or gliding under the water for too long. Too high (anything over 80), and your stroke might be too short and chaotic, indicating that you are using too much energy to reach optimal performance. Water proof ratings – this seems like an obvious one, but a swimming activity tracker needs to be waterproof in order to function under water. The waterproof rating itself, tends to be shown in ATM, which is short for Atmospheres. The ATM represented shows how much atmospheric pressure the device can withstand once submerged. ATM 1 is the level of pressure in the atmosphere at sea level. Therefore, an ATM rating of 5 signifies that the wearable device can withstand pressure at a depth of up to 50 metres – which is more than enough for swimming. Heart rate monitors – these have always been hotly debated based on their accuracy, but when you add water into the mix, it is harder still to determine whether these products produce useful data. Whilst for running and other land-based sporting activities, wrist-based monitors tend to provide the most precise insights, when it comes to swimming, a heart rate monitor chest strap is the most reliable. 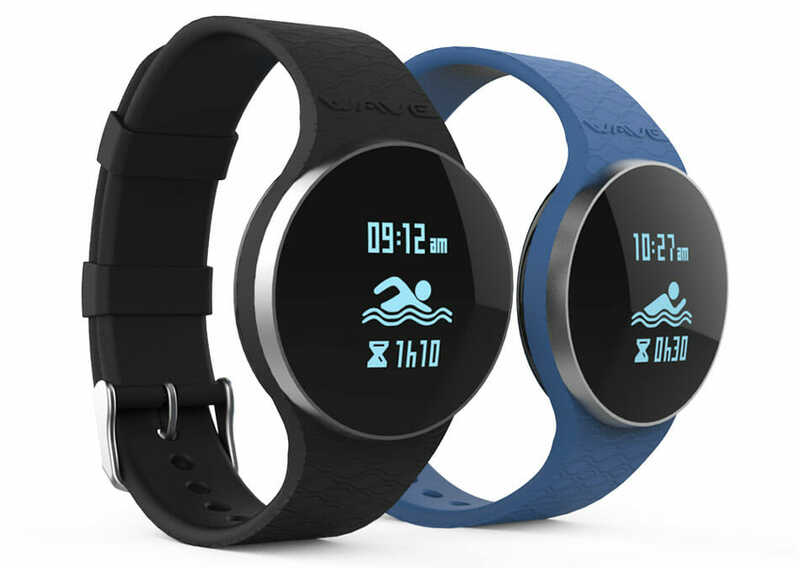 Whilst there isn’t quite the selection of swimming trackers available that there are for cardiovascular workouts, most major brands have started to appreciate that there is a market for those who want to monitor their aquatic endeavours. Dive below to see the best swimming activity trackers currently available. I absolutely adored wearing the Moov Now and found it to be so much more that just a tracker. Now I don’t profess to be the next Michael Phelps, however, I felt anything was possible thanks to the built-in coaching that not only fed back on my performance but offered me information on how I could improve. And, when you activate the swimming mode you’ll receive a whole load of data on stroke type, rate, distance and efficiency as well as lap duration. I found this watch motivated me to beat my times, improve my technique and build-up endurance. The Moov Now is waterproof to 30m, which proved perfect when practicing in the pool and snorkelling with the kids. The only criticisms that I have of this watch were the ability to see real time metrics and the fact that you must purchase a heart rate monitor separately. This sits just inside your swim cap and I hardly noticed it was there. Additional benefits to this swim activity tracker, is that it can track all your other daily activities and monitor your sleep patterns at nights. It comes equipped with a battery life of 6 months, which is easily replaceable when the time comes. If you want to look stylish this watch certainly has pool appeal. Its large, curved, color screen is easy to read and can be taken to depths of up to 50 meters. I found the Samsung Gear Fit comfortable to wear and incredibly lightweight and just loved mixing up the straps depending on my daily style. Housing all the usual metrics (including lap time, lap count, stroke type and distance) this swim activity tracker can also monitor your swim efficiency. For those statisticians amongst you, Samsung have recently partnered with Speedo and now provide more insights than ever before – plus the chance to compete against others. You can view all your personal data in the easy to navigate Speedo On app. Out of the water the Samsung Gear Fit 2 Pro also caters for athletes with a host of funky apps such as MapMyRun and MyFitnesPal and comes with the ability to log on to Spotify. 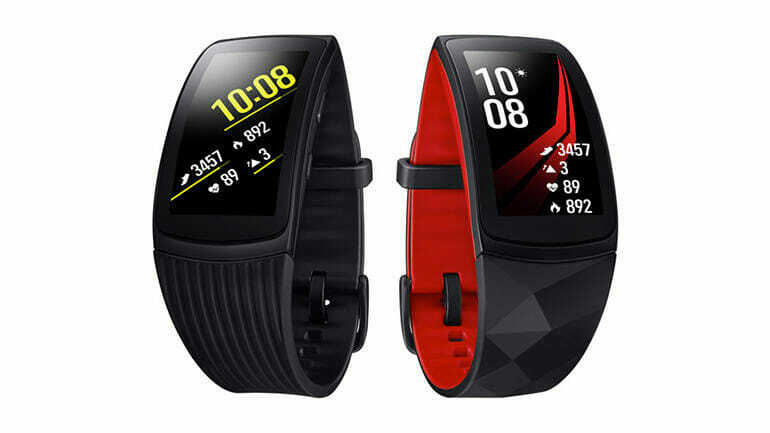 This watch is more premium that a lot of the competition but if you are an all-round athlete, looking to better their performance, then the Samsung Gear Fit2 Pro is worth the rather eye-watering price. From the iconic brand Fitbit, who are synonymous with activity trackers, comes the Fitbit Ionic. For those who may have read my review of this watch, you’ll know that from a smartwatch point of view I was underwhelmed. That said, when I revisited this watch recently for use in the pool, I found myself more than pleasantly surprised. Its screen felt huge on my wrist, which I found an advantage when reading my data – and could be viewed in real-time. The Ionic runs off the Fitbit app, so I could personalise my swim workouts depending on my pool size. Adept in all the essential tracking metrics, its only downfall is that it lacks some of the more advanced features that serious swimmers may require, such as automatic stroke detection, stroke count and efficiency. Also, like many of the swim activity trackers reviewed here, its in-built heart rate monitor is unable to function underwater and therefore, an additional strap is required for an extra cost. I still feel that the Ionic struggles to compete in the smartwatch arena, however as a multi-sport watch it looks great and has been innovatively designed to include all guidance and insights you could want from a fitness activity tracker. 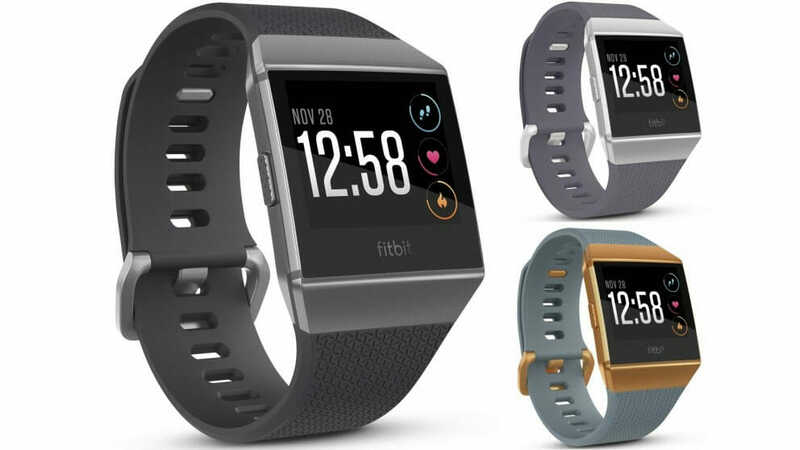 The Fitbit Flex 2 and Fitbit’s brand-new Charge 3 and Fitbit Versa also all come with swim tracking capabilities. Like its original namesake, this second generation tracker can be worn either on the wrist or attached to your swimming garment. The Misfit Shine 2 is not only flexible but can be plunged down to depths of up to 50 meters. One of the drawbacks of this watch is that it doesn’t come with a heart rate monitor. It does track your swimming essentials such as laps and distance but cannot detect your style of stroke. Due to the nature of its tracking capabilities this watch is for indoor swimming only and would be totally useless in open water. When it comes to being terra firma, I loved the fact the Misfit Shine 2 could clip on to my workout gear and was then good to go. Once I’d completed my fitness activity I simply tapped to log my sport. It was also handy when on the move to be alerted through a number of vibrations of incoming calls and text notifications. 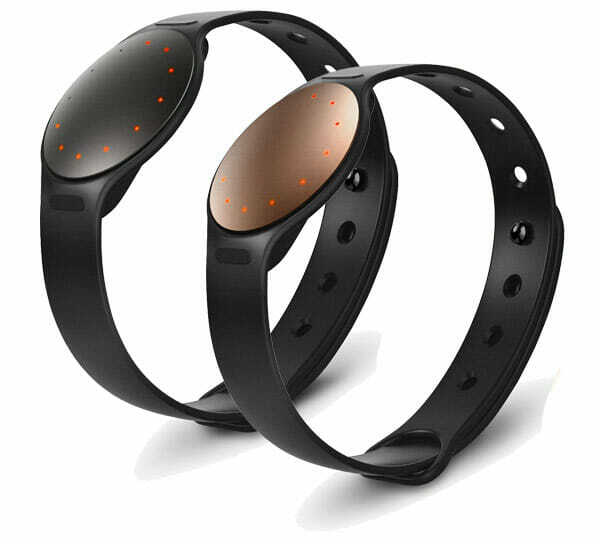 Like all the trackers in the MisFit range, the Shine 2 does not have to be recharged regularly, but instead has a 6-month rechargeable battery. 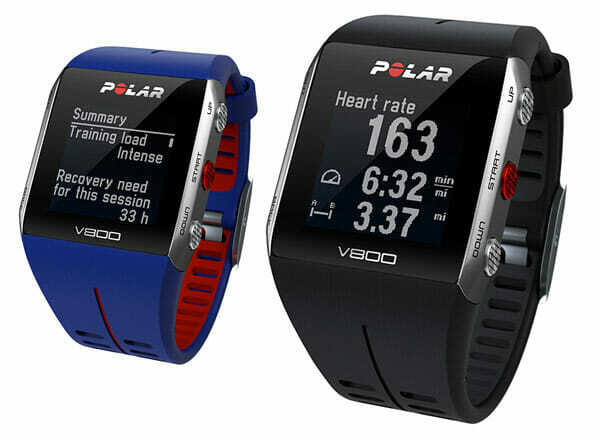 The Polar V800 is a wearable for serious swimmers and triathletes. This multi-sports watch specializes in running, cycling and swimming, and so can be used for both indoor and open-water swimming. The use of an inbuilt GPS enables this watch to monitor your every movement even when enjoying a dip in the great outdoors. It’s waterproof for up to 30 meters and can monitor your heart rate even underwater – although you can’t use the built-in heart rate sensor for this but can purchase can additional sensor like the Polar H10. This watch will monitor your style over a period of time, to give you an accurate picture of your strengths and weaknesses in the pool. Analysing your stroke rate per minute or pool length it will also register how efficient you are and can recognise different styles such as breaststroke, backstroke, butterfly and crawl. If you are into your running, then an index analysis lets you predict your finish times, automatically encompasses your transition time from swim to bike to run and can even help manage your recovery period. There are also several smartphone features that allow you to keep connected even when you’re on the go. This smartwatch is built with functionality in mind, and therefore isn’t the prettiest or the cheapest, but it is innovative and full of features that will see you through all your aquatic adventures. iHealth are relatively new to the wearable market and are a brand renowned for developing state-of-the-art products that help people lead more active lives. The iHealth Wave is just one of many health-monitoring devices that are easy-to-use, accurately measure health vitals and enable data to be shared with loved ones. This swim activity tracker looks more like an everyday watch but can be worn either on a belt on around your wrist. Waterproof for up to 50 meters, this watch can measure your swim activity by stroke including breaststroke, backstroke and crawl in addition to calories burned. Plus, the iHealth Wave can be used as a fitness activity tracker and will count the number of steps achieved and distanced travelled. It also monitors the quality of your sleep and can offer personal mentoring. This watch is far from flashy, but if you simply require some essential tracking whilst doing laps in the pool, then the iHealth Wave more than does the job. Garmin produce a huge range of specialized watches and activity trackers, so picking just one to recommend for swimming proved difficult. In fact, I could have filled this entire list with Garmin devices such as the Forerunner 735XT and the 920XT (which are great for those training for a triathlon) or even the Vivoactive (which is good for all manner of water sports from paddle boarding to swimming). This Garmin Forerunner 935 GPS watch can help anyone with a wetsuit fine-tune their training programme thanks to its comprehensive set of stats ranging across a multitude of activities. This seriously hi-tech wearable can detect stroke types as well as lengths, distance, pace, stroke count and efficiency. Its inbuilt GPS functionality can map your mileage in open water and show you your route progress on a live map. Drilling down to the minute detail, the “drill log” records yardage earned in kick sets, one armed swims and when a stroke technique can’t be detected. Whilst the Forerunner 935 has a heart rate tracker for land-based fitness, it is unable to record data whilst in the water. Therefore, you need to pair the watch with the HRM-SWIM strap, which is sold separately, to receive your real-time heart rate, and interval summaries which can then be transmitted to your watch. So, if training is a priority and money no object, this watch will offer you features above and beyond the competition. 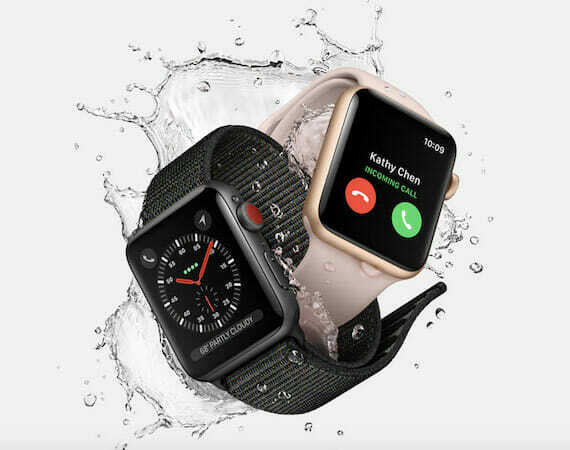 The Apple Smartwatch has been performing as a swim tracker since 2016 when it became water resistant. However, thanks to its latest operating system, OS4, it now has the capabilities to provide even more granular data. This watch can automatically and accurately track distance, lengths, time and stroke type. It knows when you are resting at the edge of the pool and can divide your session into sets of laps, showing you how far and for long you swam, what stroke you used and your resting time. Its built-in GPS enables you to map your swims in open water and can offer detailed splits for 25m, 50m and 100m distances. The Apple Series 3 watch will even track your heart rate during swims but comes with the caveat of accuracy whilst underwater. And, if you decide to invest in the GPS + Cellular with built-in 4G connectivity model, you can receive calls and notifications whilst swimming. On top of all of that, you can store songs and use this stylish watch as an everyday fitness tracker. There is no doubt in my mind that the best swim activity tracker available on the market right now is the Garmin Forerunner 935. This watch has been manufactured with serious swimmers, triathletes and those entering Ironmen competitions in mind. It is incredibly expensive, but in terms of getting bang for your buck, it comes with a whole host of innovative features. If you prefer some pool time play, don’t require all the “bells and whistles” of the more advanced watches and are more money conscious then I can highly recommend the Moov Now. If you can come to terms with the fact that you can’t view your stats in real time, this watch has all the functionality you could possibly need for both open water and indoor swimming and is great value for money.